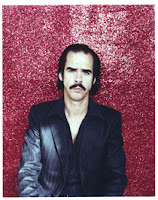 Nick Cave & The Bad Seeds To Headline iTunes Live London Session. Supported by Spiritualized, Nick Cave and the Bad Seeds headline the final date of the money can't buy iTunes Live London Sessions on 2nd March. You can't buy tickets, but you can win tickets! To enter the draw and to see the full two week line up, click on this link. Some of the competitions are now closed but have a look around to see what is still available. "We will also have a load of tickets to give away via the Nick Cave and The Bad Seeds website, so keep checking back." According to the iTunes live website t's and c's , in order to be eligible, entrants must be 13 years of age or older at the time of entry and a resident of the United Kingdom, must have an iTunes Store Account (subject to prior acceptance of license and usage terms), and must enter the Promotion using the e-mail address associated with their iTunes Store Account.